To sleep well is to be well. At Sealy, we understand that, and our brand new Activsleep range aims to promote healthy living through great quality sleep. Designed to complement those who lead an active lifestyle, the range combines the very best fillings with Sealy Smart Fibres to ensure people wake up feeling revitalised and recharged, ready to seize the day ahead. 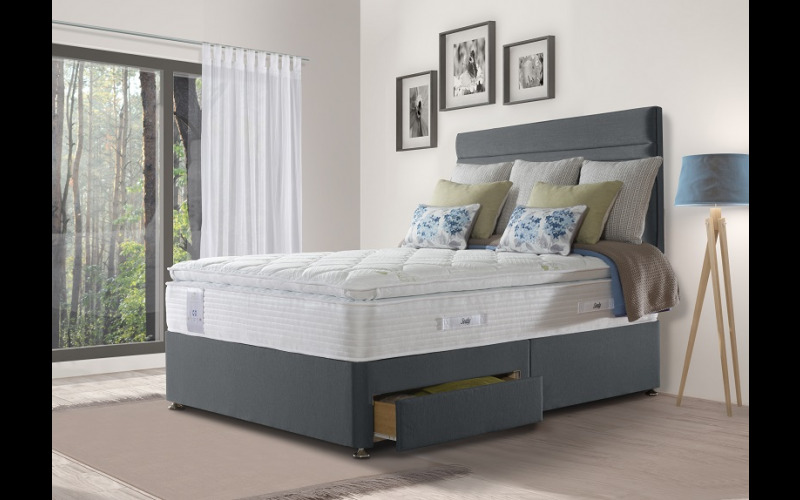 The range of nine beds comes packed with innovative, cutting edge technology including Purotex microcapsules which release friendly bacteria into the fabric of the mattresses to clean up allergens, reduce humidity and create the perfect sleeping environment. Simultaneously, Adaptive technology uses the body’s energy to regulate temperature – the ideal solution for a healthy and cool sleep. A great night’s sleep has the power to leave you refreshed and energised, ready to take on all that the day throws at you, whether it’s working, enjoying time with friends, exercising or simply reflecting. The benefits of a healthy night’s sleep combined with an active lifestyle are clear for all to see, and Sealy’s Activsleep range will help you achieve this.